Look at those Rose Hips! 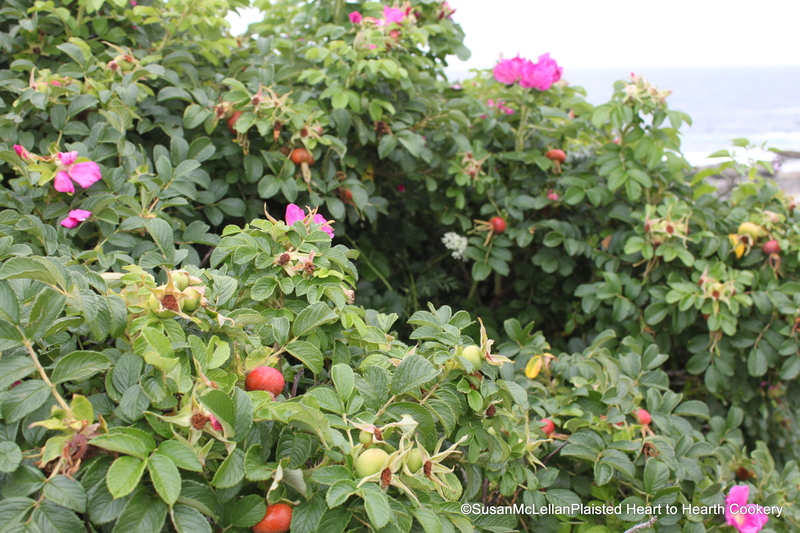 Those are Rosa Rugosa and can be found all over New England, particularly the beach areas. USDA bred these roses to be salt tolerant, poor soil tolerant, extreme cold tolerant, and thorny thorny thorny (to reduce ingestion by the local wildlife- deer love regular rose bushes). Their roots help with erosion and the hips are valuable food for birds and squirrels. Hope that helps!